Couple much in love with the certificate! 93 year old legend was presented a medal, a certificate and a shawl! While honouring the tragedy King! 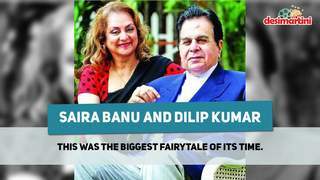 Dilip Kumar and his wifeSairaBanu are one of the best couples ever! Born as Muhammad Yousuf Khan in Peshawar!